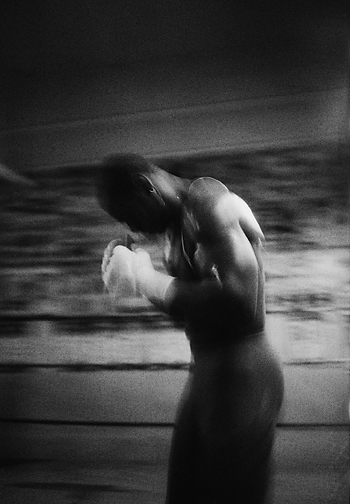 The subject of boxing has produced some great documentary photographs … but boxing photography as art? In 2000, Goodman travelled to Havana, Cuba as part of a cultural exchange program, teaching a workshop and exploring Havana’s wonders. In his own statement, “being in Havana is very much like living in a ruin with its history crumbling before your eyes, as its spirited peoples revel in life’s obstacles.” The Times Square Gym and Havana images exist in the same dark place of mystery, ceremony and fleeting figures.